Tapioca is a dietary staple in Africa, Asia and South America, and you'll also find it in beverages and puddings in the United States. Although commercially packaged tapioca is generally safe, the plant can be highly toxic if not prepared properly. Tapioca naturally produces cyanide, which is poisonous to humans; however, the cyanide may be removed during processing. By eating poorly prepared tapioca, you may risk cyanide poisoning, according to the American Cancer Society. Symptoms include headache and dizziness; in severe cases, you may experience convulsions or coma. Peeling, slicing and then thoroughly cooking tapioca removes the cyanide risk, and tapioca flours, pearls and puddings are considered safe, according to Food Standards Australia New Zealand. 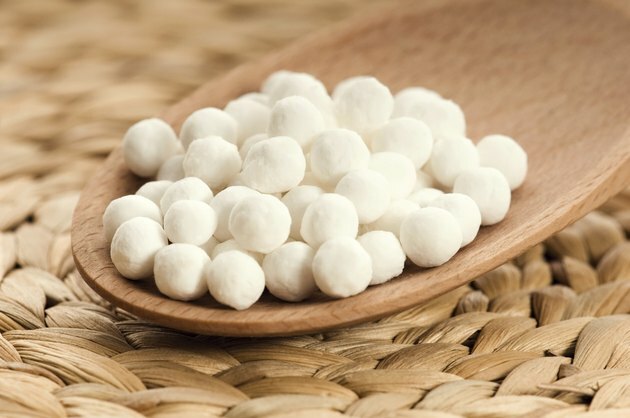 Tapioca also tends to elicit an allergic response in people with latex allergies, so if you're sensitive to the natural rubber it may be smart to speak with your doctor about any possible risks. At 136 calories per 1/4 cup dry, tapioca is an energy-dense food that can easily lead to weight gain if you eat too much of it. Tapioca is also low in nutrients, and tapioca desserts usually contain added calories from sugar and fat. Although moderate portions of tapioca fit into a sensible diet, the bulk of your meals should comprise nutrient-dense foods such as fresh fruits and vegetables, oatmeal, whole-wheat products, beans and nonfat yogurt.